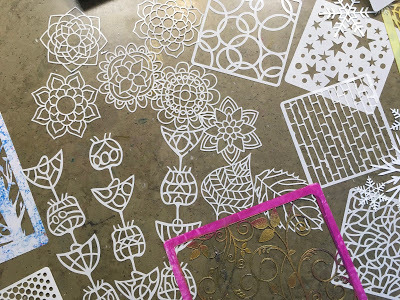 let’s look at some stencils! 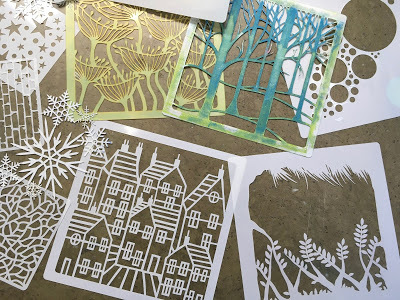 We have so many wonderful designs! All original artwork by Mel, Jim and Annie. So I think I will get one of my favourites out. It’s a word one, by Mel. 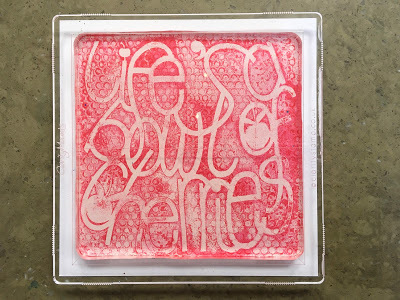 Mount your 6×6 Gel Press Plate on our 7×7 megamount. 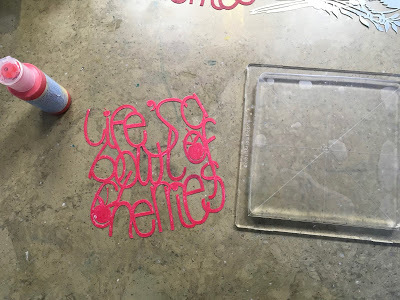 Now let the paint on the plate dry. Impatient? 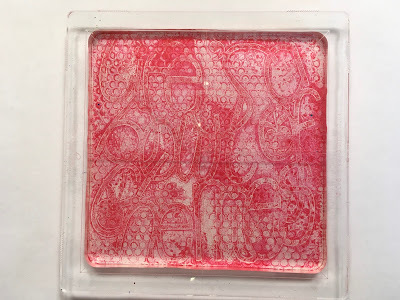 Blot a bit to speed it up! 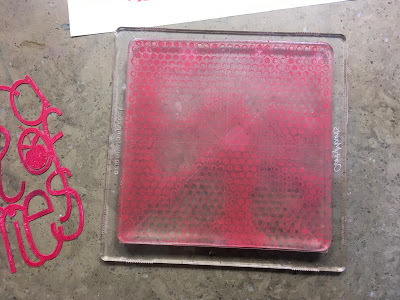 Now load another layer of red acrylic paint over the top. face down in the paint on the plate. Blimey. Anybody reading this would think it was a cookery lesson! 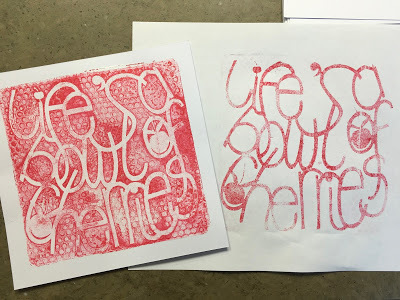 Blot around the stencil with a sheet of copy paper. You will see that the wet paint will lift some of the layer underneath, but not all. Wait until the paint you can see is dry. Then you have to act fast. 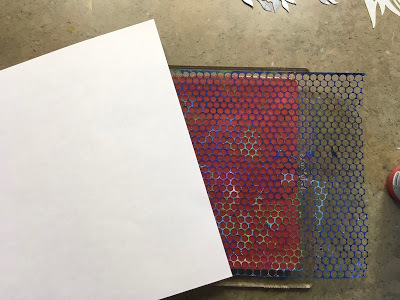 Remove the stencil and quickly lay a sheet of copy paper or card down on the plate. Rub the back of the paper or card. 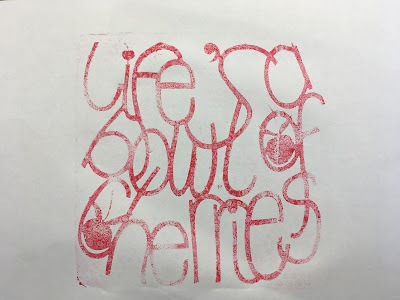 it will lift a print of the words for you. 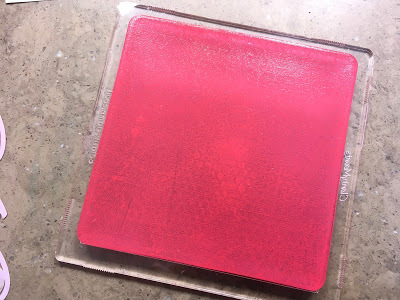 And now you can see what is still left on the Gel press Plate. 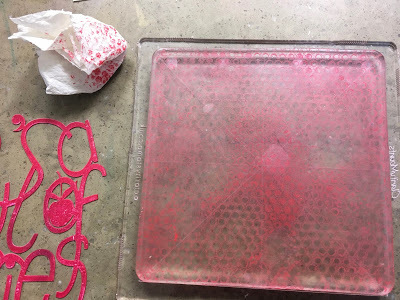 Now to lift the print off the plate. 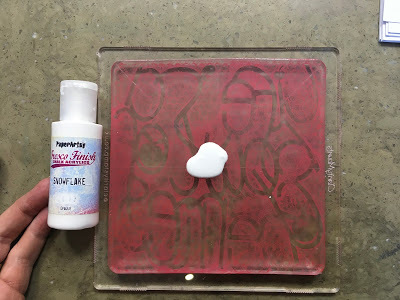 Let’s use white acrylic paint (Snowflake) to do the job. 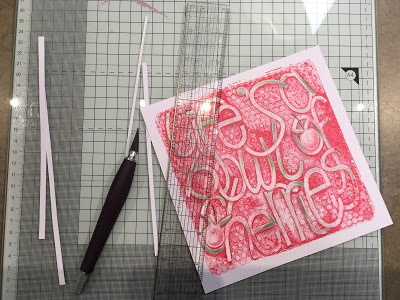 Spread it out lightly with the same brayer. Too much paint won’t work. Too little paint won’t work. then I roll it out. This is too much, so I start lightly rolling it off and rolling the excess paint onto a sheet of copy paper on the side. Keep doing this until you see the print underneath peeping through. 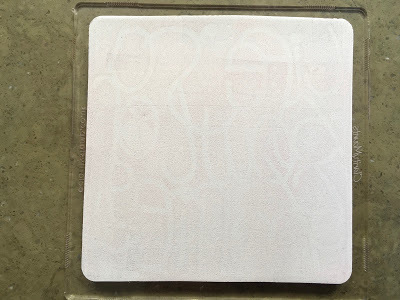 When you can see it, it’s time to pull the print. 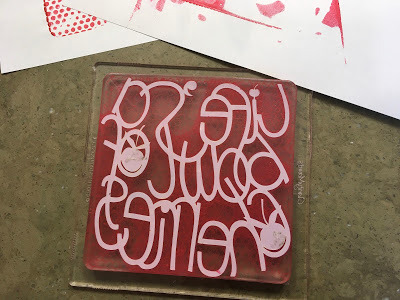 Now quickly flip the Megamount over and plant the print onto a piece of our 7×7 Stencil Card. The megamount is the same size as the card; ideal for lining up. 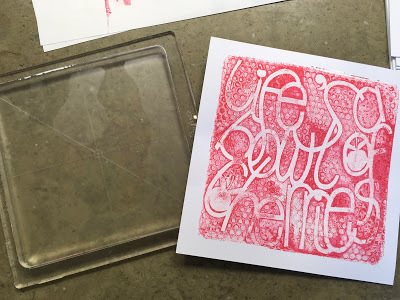 Flip the artwork back, rub the back well, to transfer all the paint from the plate to the card. Peel the card off the plate. And the plate is totally clean too. 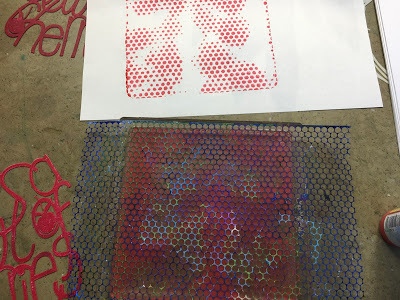 2 prints from one Cherry stencil. 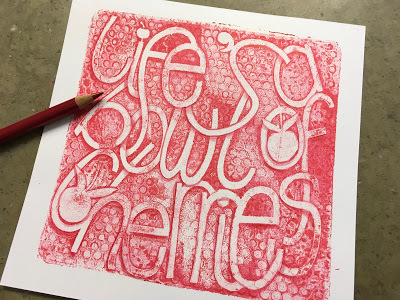 Let’s define the letters with a red pencil. Look at the difference above and now below. Let’s add a little green with a pencil too. 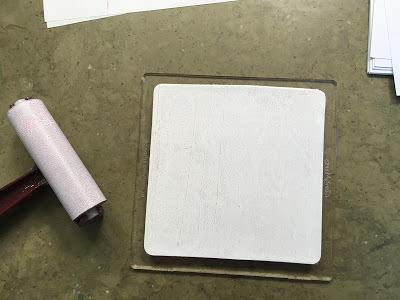 Trim the sides with our ruler + the Groovi Grip to stop a slip! Mount on a piece of Dee’s Brighton Rock Designer Paper. Enjoyed that arty half hour. Love this stencil. Ought to spend a little longer on the greenwork, but I have to go cook supper, or Dave will fall off his perch! 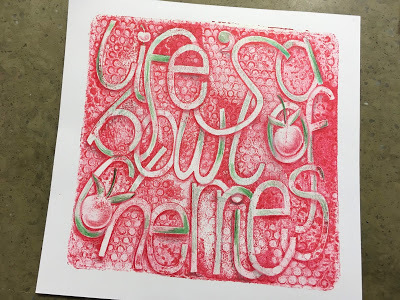 And yes, Life is a bowl of cherries. 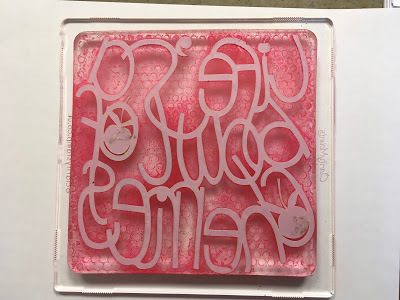 I’ll take my Gelpress Plate with me…. I will announce the winner of the quiz tomorrow. 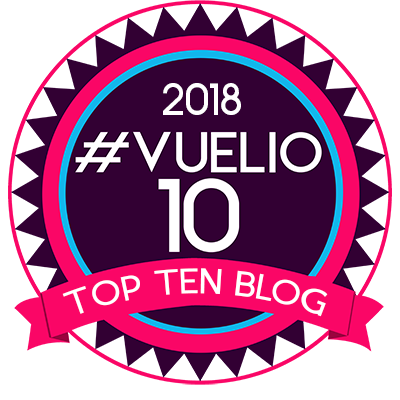 and yes, we do have ONE winner! This is very cool. 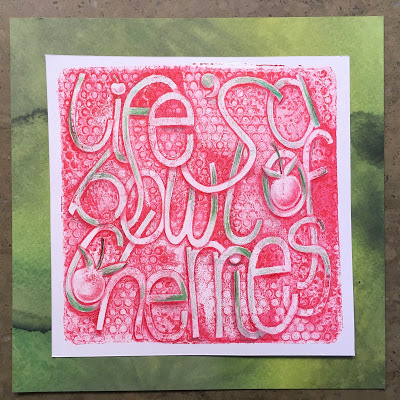 I love your gelli plate demos – one day I may even manage to take mine out of the box! 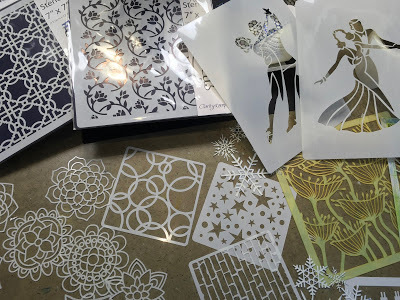 Oh Barbara, who's going to sort out all your stencils back into folders for you?!!!! I love this artwork, very bright and effective. Love the colours, and I like the green as it is. Thank you for sharing. And thank you for explaining how to get the right amount of paint, that'll help me loads. Once I've found a 2p to remind me of the size… Well, I rarely use cash with being housebound as almost everything bought online. I'd like more gel press plate on telly please. When I had my go with the baby ones I seemed to use an awful lot of paint, so not sure if I was doing it right, or if it was that I'm using up different paint before using Fresco. Cherries are my favourite fruit too, fresh in summer, and make do with the frozen ones in winter, except Tesco stopped offering their frozen ones for sale online a couple of months ago. So I'm having to wait, rather impatiently, until I can buy the summer ones, usually June up here. Tried some fresh at Christmas as a treat but they weren't that nice. Thank for telling me it's Groovi grip I need. I don't think I'd have got very far putting "ruler stuff' in the Clarity search box!!! 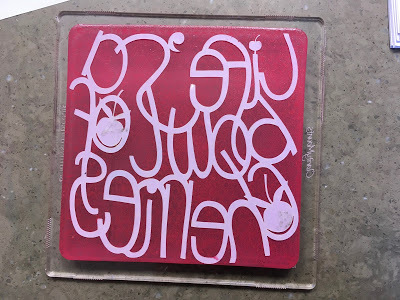 I love this with the gel press because you never really know what you're gonna get but every one is a unique piece of art! Yours is wonderful today! 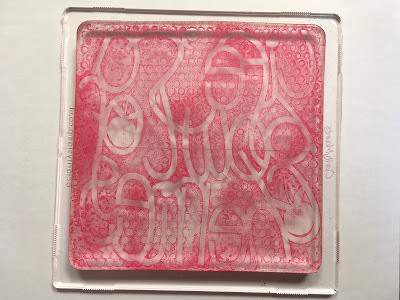 It's lovely to have a reminder on using the geli plate, I haven't used mine for ages so must get it out and have a play. I always think it's so exciting when you pull the final print, you can only guess what it's going to look like and then you've got it. It should come with a drum roll and tada!! Hope you enjoyed your dinner and Dave time. I didn't get round to writing the answers down and entering but I'm looking forward to finding out just how much I remembered. Lovely Artwork as always Barbara. 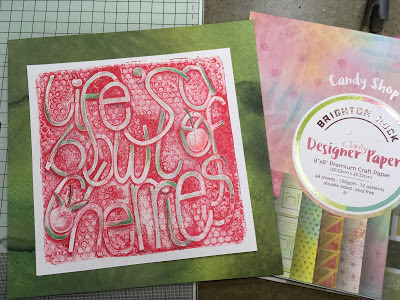 Hopefully I will have some crafting time this weekend and get the Gelli plate out, oh and look at the stencil sale, and watch more Rosrlla! Thank you for your inspiration.